Over 60,000 public servants who have been on lower pay rates since 2011 are set to receive pay increases worth on average €3,300 under proposals published by the Government today. Minister for Finance, Public Expenditure and Reform Paschal Donohoe said the deal would deliver a fair and affordable resolution, but warned only unions that remain within the current public service pay agreement would benefit. Under the proposals, new entrants will benefit from skipping points 4 and 8 on their pay scale. The first increase is in March 2019, with the second in 2020. However, those who have been on lower pay for longest - will see a double jump next March. The measures will cost €27 million in 2019, and a further €48 million in 2020. By 2020, 78% of new entrants will have seen pay improvements. The full cost of the measures up to 2026 based on current public service data is estimated at €190m. It is understood 58% of public service new entrants - 35,750 - will benefit in 2019, while 78% - 47,750 - will see a further pay rise in 2020. However, teacher unions the ASTI and the TUI have already warned that the deal does not restore full pay equality - particularly on allowances. Members of the INTO’s Central Executive Committee have been briefed on the proposal and said significant progress had been made. The committee have approved plans to put the outcome of the negotiations to a ballot of members. Nurses will consider pay and staff shortages on Wednesday. Those who have not yet achieved point 4 of the scale will receive no benefit on 1 March. Mr Donohoe said the proposals meet the Government's commitments under the Public Service Stability Agreement (PSSA), and there will be no further measures. When asked about outstanding inequality issues like teachers' allowances, Mr Donohoe said he had complied with the new entrant commitments in the PSSA, and no further measures will be taken beyond those announced today. 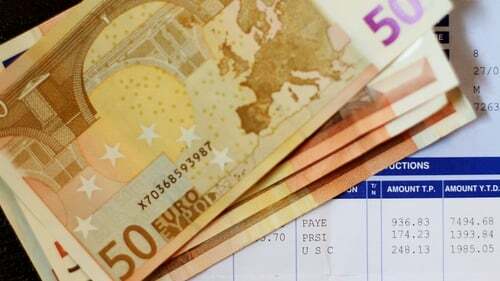 He acknowledged the cost of the pay restoration proposals, but said that was significantly less than the €200m it would have cost to implement the incremental changes in one year as some had demanded. He said the move would benefit 16,000 teachers, 10,000 nurses and 5,000 Special Needs Assistants. He rejected suggestions that the proposals were a pre-election measure. Minister for Education Richard Bruton, and Minister of State for Disability Finian McGrath also welcomed the proposal. In addition, groups including teachers are likely to seek restoration of allowances worth up to €1,500 a year. Unions stress that any payments under these proposals would constitute restoration, rather than wage increases. The executives of the various unions will meet over the coming weeks to consider the deal and to decide whether to recommend it to members when they ballot. The proposals come as the Irish Nurses and Midwives Organisation (INMO) prepares to meet on Wednesday to consider pay and staffing issues. The INMO argues that there is a recruitment and retention issue in nursing which can only be addressed by an across the board pay increase. However, last month the Public Service Pay Commission ruled out any such general increase, opting instead for extending targeted allowances to sectors with particularly intense staff shortages. Although today's new entrant deal will benefit all nurses recruited since 2011, the INMO is likely to argue that it will not address the underlying staffing difficulties. The INMO has not ruled out industrial action if its pay demands are not addressed - with similar threats emanating from teacher unions.